Want to be notified of new releases in SemsProject/BiVeS-WS? Pull request Compare This branch is 5 commits behind binfalse:master. 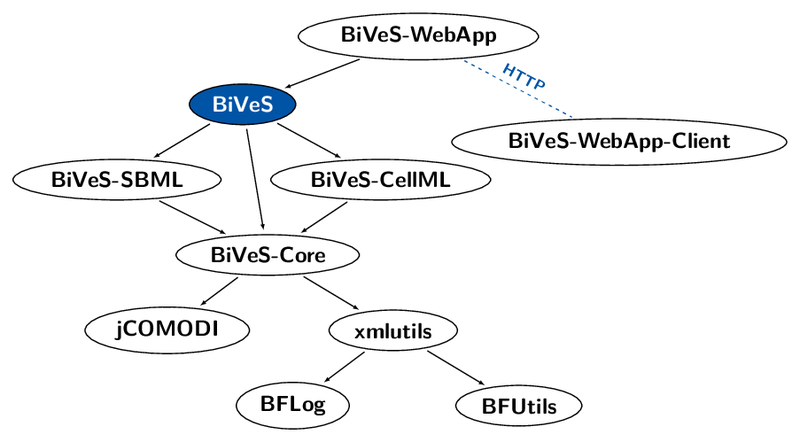 This is the BiVeS web application, a JAVA based web interface to the BiVeS tool for difference detection between versions of computational models. We recommend building the application with Maven. to obtain a BiVeS-WebApp-*.war in the target directory. This war file can then be deployed to a JAVA compliant webserver, such as the Apache Tomcat. to obtain the war file that can be deployed to a JAVA compliant webserver, such as the Apache Tomcat. Since version 1.6.2 we provide a Docker image at the docker hub: binfalse/bives-webapp. The image is based on an Apache Tomcat image and already has the BiVeS web application deployed as the default webapp of the Tomcat. It will be automatically generated with every git-commit to this repository. In addition, we are generated a new version with every release of the BiVeS web application through maven..
Just replace http://YOUR.BIVES.WEBAPP with the URL to your installation of the BiVeS WebApp (or take our installation at http://bives.sems.uni-rostock.de). You'll get more information about the usage and possible options/arguments by browsing to that installation with using your preferred web browser, see our installation for example. There is a Java WebApp client for accessing the BiVeS WebApp from java based tools. We are always keen on getting feedback from our users. If you have any comments, requests for features, or experience any problems do not hesitate to leave a comment. To learn more about BiVeS have a look at the BiVeS project and our open-access scientific publication. The GitHub pages of the SEMS project provide mode information on the BiVeS WebApp.